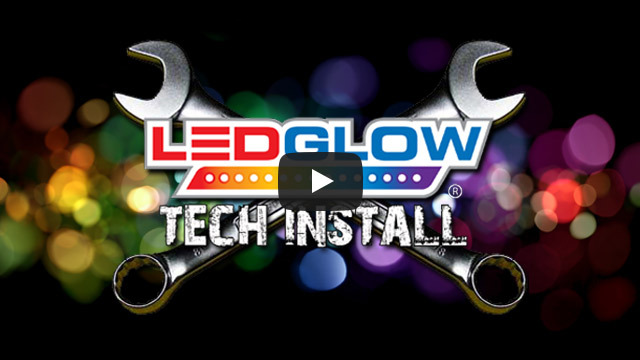 LEDGlow’s White Wheel Well Light Kit creates a unique white glow to the fender wells of any vehicle using (4) 24” flexible tubes that feature 84 ultra-bright SMD LEDs, a control box and wireless remote. LEDGlow's White Wheel Well Light Kit features 84 SMD LEDs housed in (4) 24” flexible tubes that are easily mounted above the tire to the fender well to illuminate the wheels or behind the strut to illuminate the rims. The all new wireless remote allows you to select from a collection of modes that include solid color illumination, 3 fade modes, 3 strobe modes and a sound activation mode that reacts to the music playing inside of your vehicle with the built-in microphone. The wireless remote features an operating range of 50’. I got these with the matching underbody kit and do not regret it at all! However, it's not like this sample picture (shining to the insides of the wheel). The way mine is setup, it shines the top of the tire (how you would assume). My Hyundai is lowered, so you really don't see too much. But if you're gonna get the underbody, you need to add this in order to finish the set! Lights just "dancin" everywhere! Get it!